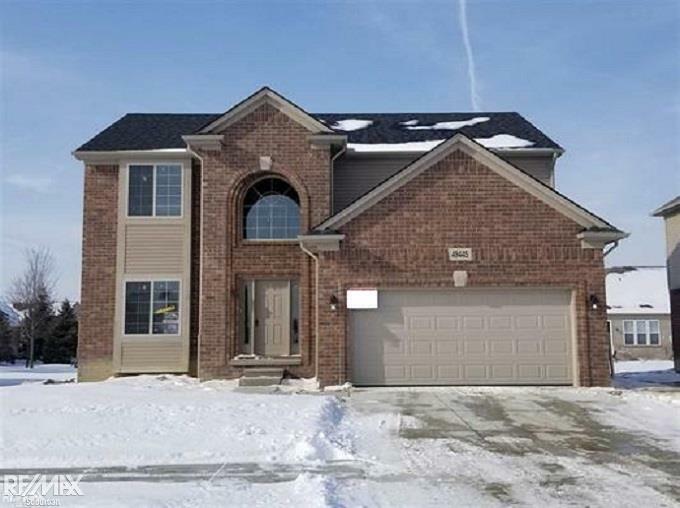 BUILDER WILL GIVE BUYER $5,000 CREDIT/CONCESSION IF HOME IS SOLD BY 2/28/2019. ACADIA 2350 SF. 4 BEDROOM COLONIAL. THIS HOME IS WELL APPOINTED WITH THE FOLLOWING FEATURES. GRANITE THROUGHOUT, 2 STORY BRICK COVERED PORCH, MUD ROOM LOCKERS, STONE AT FIREPLACE WITH SLATE HEARTH, RECESSED LIGHTS IN GREAT ROOM, ENCASED ARCWAY AT GREAT ROOM, ENCASED ARCHWAYS AT DEN, CROWN MOLDING IN DEN, WAINESCOTTING IN DEN , BRONZE DOOR TRIM THROUGHOUT, BRONZE LIGHTING PACKAGE, CROWN MOLDING IN FOYER AND UPPER HALL, BOX NEWEL POST, RECESSED LIGHTS IN KITCHEN, BAY WINDOW AT NOOK WHITE CEILINGS IN ALL LARGE ROOMS, CENTRAL AIR, 42" UPPERS - IN KITCHEN. BUYER TO CHOOSE CARPET FROM BUILDERS SELECTIONS.